Explore the pros and cons of full-serve, Express-exterior, and flex serve car washing from operators doing all three. 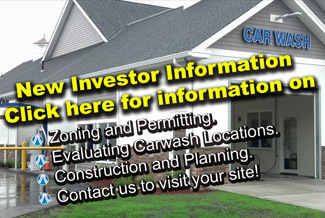 Review the common elements of successful site selection and gain a better understanding of the systematic steps to determine the best location for a car wash in a given market. Join industry experts and operators as they evaluate bank loans, SBA financing, and venture capital - weighing the pros and cons of each as it applies to the car wash industry. Go behind the scenes for a step by step guide to planning the construction of a conveyorized car wash for the group up. Learn what you can do to streamline the process, avoid delays, and save money. Understanding the variables, people, and procedures you need to know to navigate the zoning and permitting of your car wash project with minimal risk and maximum efficiency. Learn what goes where and why in a conveyorized car wash to get a clean dry shiny car in 3 to 5 minutes, with no damage, at a profit margin that makes sense to do so. Full, Flex, or Express Exterior - meet successful operators across the country as they discuss what marketing strategies are (and are not) working for them. Learn how to analyze cash-flow statements to manage the profitability of an existing location or determine if a proposed car wash project represents the right format, location, and equipment capacity to meet your investment objectives. 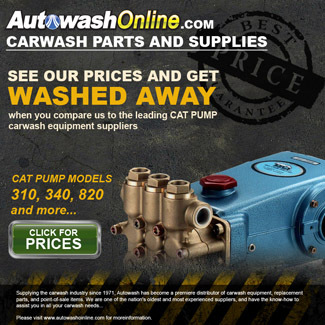 Review proven ways to increase revenue at a car wash with extra services and additional profit centers while motivating staff to help drive sales at your location. Understand potential liabilities at a car wash and learn what you can do to avoid known hazards while reducing your exposure to their impact on your business.